As I mentioned before this is the third trip my backpack and I have made to South East Asia over the years but the culture shock is still the same when you land in a new city. 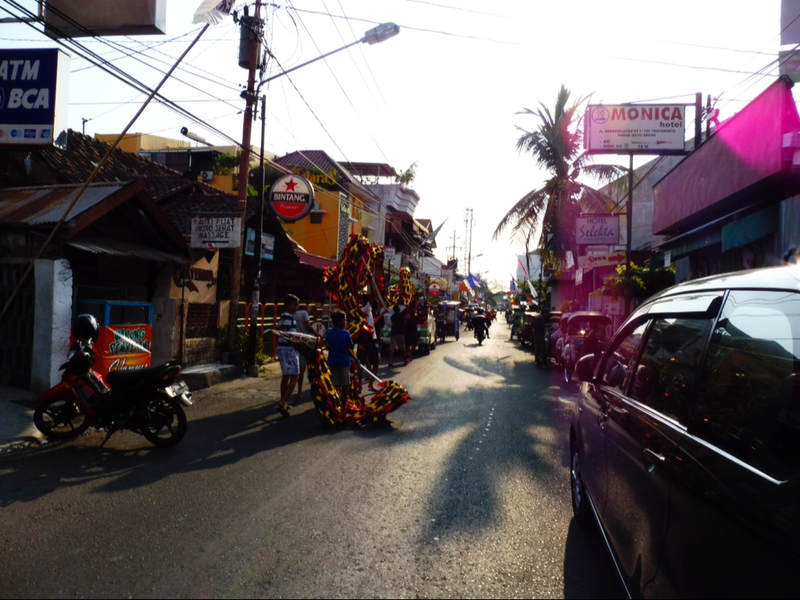 We decided to start our trip in Yogyakarta (Jogja), Java which was definitely not the easiest starting point! Maybe we should have eased ourselves in with a nice beach spot! As for Jogja itself, once we got used to it and gathered our bearings it’s a very sweet city with great personality from its graffiti covered narrow streets, scooters and rickshaws weaving around children playing and huge amount of market stalls lining the pavements. I found that travelling through Japan. They love the blonde, always wanting photos hahaha. Fool me once shame on you, fool me twice….